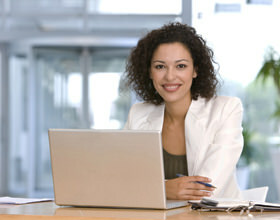 dCourseWeb is an online program management package designed to address several different aspects of online education. Some critical elements of online education are student communication, processing, and retention. Assisting students through the program can require significant time and effort; therefore, dCourseWeb is designed to support students from beginning to end using the technology to save valuable man-hours and to ensure that no one is left behind. The Alliance for Ministry Education is an organization composed of participating Church of the Nazarene District Training Centers (DTC) and Nazarene Bible College (NBC) who work together to provide college-level ministry training at the district level. This training is designed to produce effective ministers and allows persons to fulfill the educational requirements for ordination in the Church of the Nazarene. The curriculum used by the districts follows that of NBC with the provision that certain alternative courses may be designed to meet specific cultural needs. The district Alliance program provides classroom education for students in their cultural context. Learn more about the Alliance for Ministry Education. Learn more about the Church of the Nazarene. Learn more about our partnerships. Nazarene Bible College is a participant in the Department of Defense Voluntary Education Partnership. As a participating member of this DOD partnership, NBC provides access to quality postsecondary education opportunities as a strategic investment that enhances the U.S. Service member’s ability to support mission accomplishment and successfully return to civilian life. Learn more about the DoD Partnership.